I hope all is well! I’m contacting your club because Bestop is offering a great deal on our Trekop and Trektop Glide soft-tops. 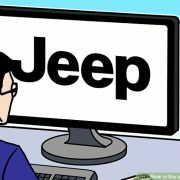 During the month of March Bestop is offering a 15% discount to your Jeep Club. The discount applies to direct orders and all orders must be placed on our website http://www.Bestop.com. Your clubs promotion code is BESTOPJC2019 and will need to be enter at the checkout screen. If anyone has questions or would like to order over the phone, please have them call me at 1-800-845-3567. Your support to pass this along to the club is greatly appreciated!! I don’t need one, but that’s still pretty cool.